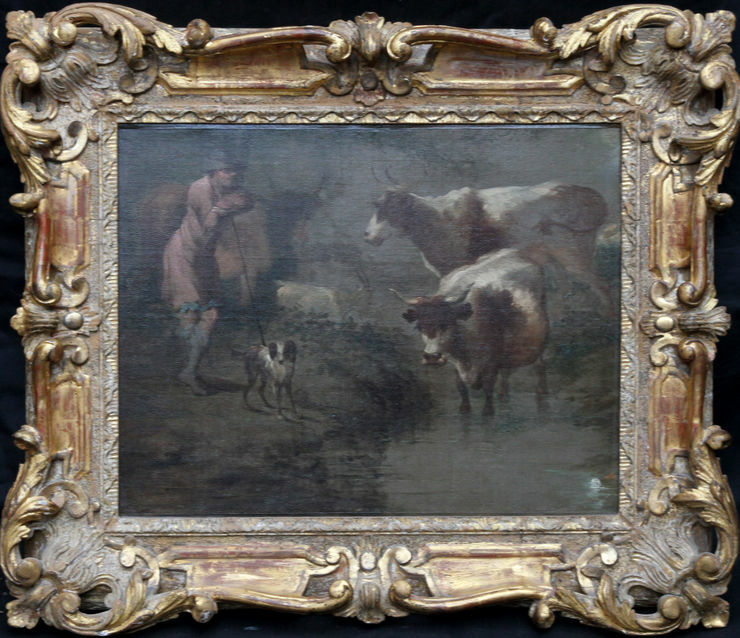 This charming 19th century pastoral oil painting is by British artist Benjamin Barker of Bath, brother of Thomas Barker of Bath. 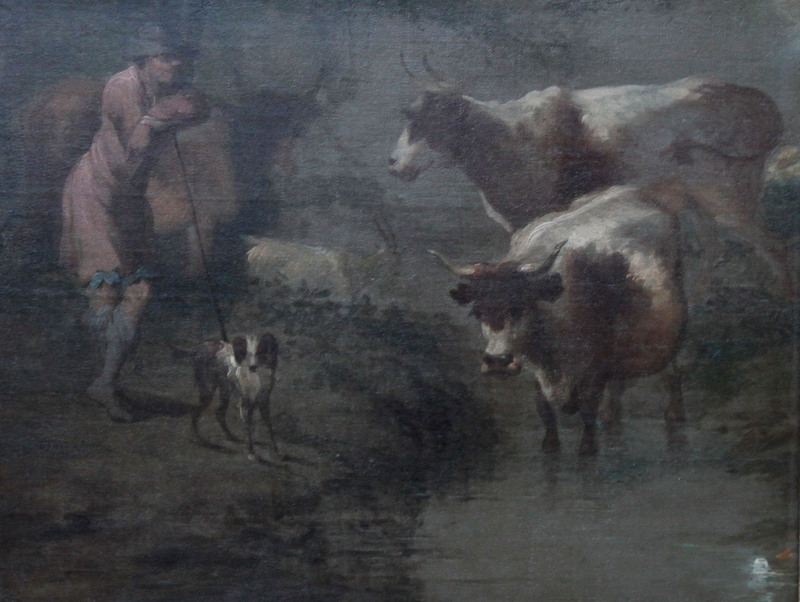 The painting depicts the drover resting on his stick as the cattle refresh themselves at a stream on the edge of a woodland. Very simillar in technique to Thomas Gainsborough and a lovely painting in a carved frame it was painted circa 1820. Benjamin Barker of Bath (1776-1838) was an English landscape painter. Barker was the son of Benjamin and brother of Thomas Barker. Called ‘Barker of Bath,’ he resided at Bath, Somerset and between 1800 and 1821 exhibited occasionally at the Royal Academy. During the years 1813–20 he was a large exhibitor of views and landscape compositions at the Watercolour Society. He was also an exhibitor at the British Institution. There are three of his watercolour drawings in the South Kensington Museum. He died at Totnes, 2 March 1838, aged 62. Thales Fielding engraved forty-eight of his landscapes in aquatint.